Whether you’ve had the life-long dream of becoming the world’s greatest chef or just want to know your way around the kitchen, knowing the difference between a quality knife, and a crappy one can make all the difference in your success. Because of the importance of quality of knives, we’ve pulled together some information on Japanese knives, as well as a buyer’s guide for the best Japanese knife selections on the market. Now, for the fun stuff: looking at specific Japanese knives to choose from. There are a variety of Japanese knife makers that cater to Westerners through making double beveled knives, but if you want the true Japanese knife experience, you’ll want to look for the non-Western varieties of these Japanese knives. Amazon users gave this knife 4.4 out of 5 stars overall. Some creative customers declared that food now succumbs to their will, when previously they were enslaved to the difficulties of chopping veggies and meat with an inferior knife. The Shun Premier Chef Knife is a multi-purpose, or general-purpose, chef’s knife that works well on anything from meat to broccoli. The knife is praised for its beauty, sharpness, high quality, and usefulness. Serious home chefs love this knife. ​Worth every penny to me!!! Not all knives are made with metal blades. 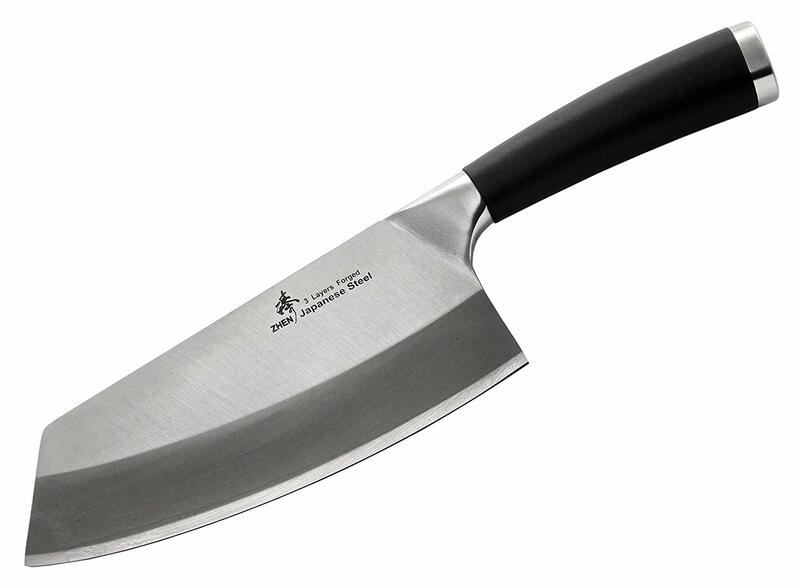 The Kyocera Santoku, for example, is made with a ceramic blade. Users love this lightweight, extremely sharp, easy to maintain knife. With daily use, the blades remain sharp, which means they’re safer to use than a knife that dulls easily. For those used to working with steel blades, it may take a little time to get used to using a knife this much lighter, but if you’re willing to give it a go, it’s very likely that you’ll decide not to return to steel blades after using the Kyocera Santoku. Decent Long Lasting Sharpness, Manufacturing & Build Quality has Reduce Within Past 2 yrs. Perfect and sharpest kitchen utility knife for chopping and m incing. SHARPNESS: Not as long as you thought. Also receiving 4.5 out of 5 stars on Amazon, the Yoshiro Blue Steel Hongasumi Yanagi Sushi Knife is one of the best sushi knives available. The long blade made of blue steel is supposedly better at holding the sharp edge than typical white steel. This single-edged blade more closely matches traditional Japanese knives than many others available, which means you’ll get a better cut for your sushi ingredients every time. These top-notch sushi knives receive praise from real users, including professional chefs, who claim them to be as high a quality as the tools they use in their professional kitchens. Another highly praised knife from Tojiro, the Kasumi Deba promises to come razor sharp out of the box and will endure many good years of use and sharpening. Professionals and amateurs alike praise the knife’s precision cuts, high quality, and ease of use. Many claims that is will cut through most anything, though many stated not to use it for cutting bones. A cleaver would be recommended for that, instead of a Deba in general, anyway. The Misono Gyutou knife is praised as perfectly balanced, with the sensation of the most comfortable knife to hold and use. Many commented on Amazon that they have fallen in love with this amazing knife that comes super sharp from the manufacturer. 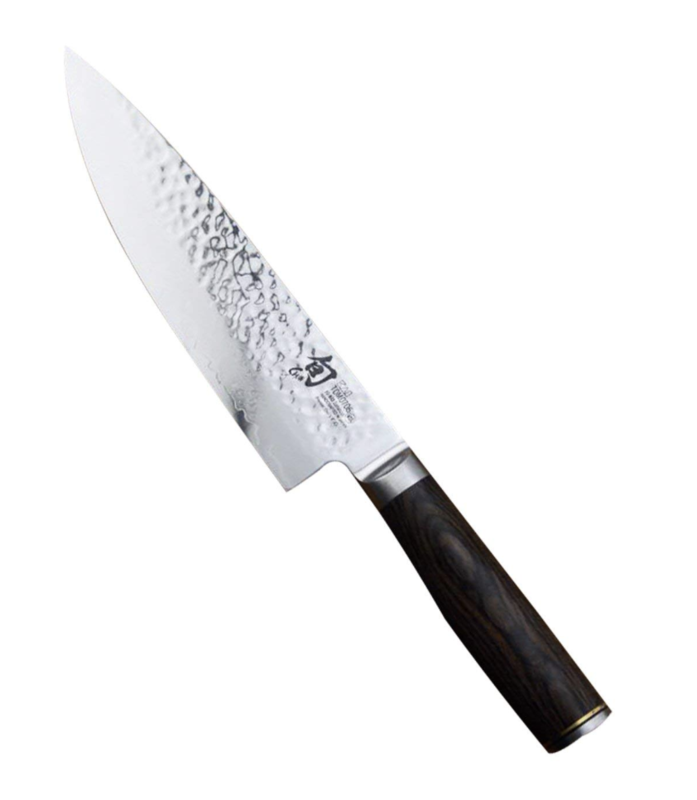 Many commenters noted that the Misono Gyutou retains the sharpened edge longer than any other knife they’ve used. One of the most budget-friendly, best Japanese knives, this knife from Zhen ranks 3.8 out of 5 stars with users. That means that 70 percent of users gave this particular knife a five-star rating. Those who love the Zhen VG-10 realize that it is not the top of the line, and therefore rated accordingly. The Zhen received praise for staying sharp for a long while, having great balance, and being well-fitted ergonomically for use. Users said that they have purchased multiple of the knife, and intend to continue buying this variety for as long as the quality remains at its current standard. The Zhen also rated well with customer service issues for those who needed to contact the company for some reason or other. It's a beauty. And it is very sharp. For almost two months now and it has taken over as my main in the kitchen. There is no bolster, or weight, which I sometimes preferred by the knife users. This beautiful knife stands out from the crowd in looks alone. When the Yoshihiro Aogami is used on a regular basis, it maintains its edge and keeps cutting smoothly and safely. This knife has a smaller handle, and is ideal for someone with small to medium hands, as those with large hands may notice some hand fatigue with significant use. That being said, the knife is deemed “amazing” by users and comes highly recommended. Another 4.5 out of 5 star ranking knife, the Miyabi Chef’s knife is an excellent choice in its price range. Professional cooks love this knife for its versatility and quality. 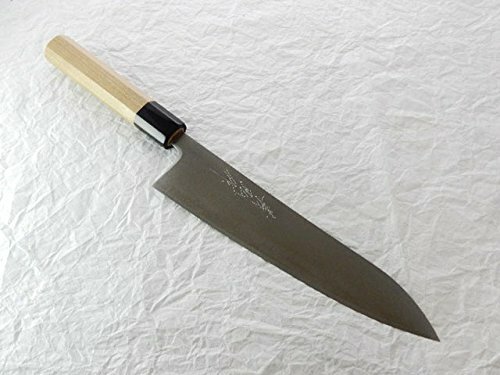 Some users particularly praised the Miyabi for cutting fruits like tomatoes, and claim that the blade itself is a work of art. 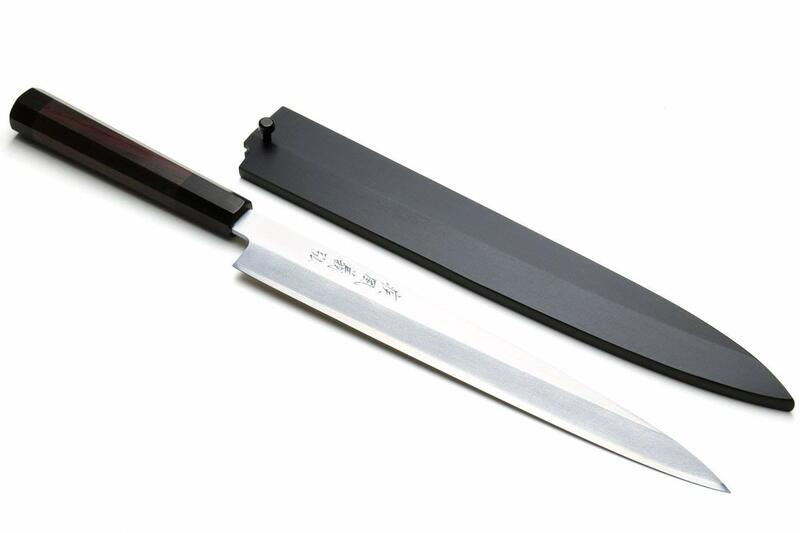 The Miyabi is beautiful, easy to use, keeps its edge, and has “perfect balance” according to many reviewers. Best knife I have ever used. Poor fit and finish. If you pay 230 dollars for a knife that's supposed to have excellent fit and finish. 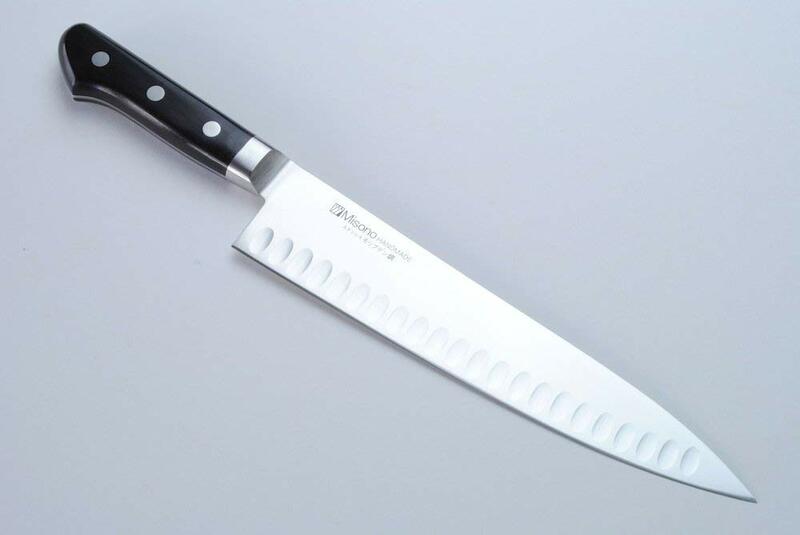 This amazing knife from Misono has received high praise from nearly everyone who’s used one. 4.7 stars out of 5 ratings on Amazon agree with the other reviews across the web: the Misono UX10 Santoku is an amazing Japanese knife. Some users were tempted into buying this particular knife because of praise in the book The Food Lab by J. Kenji Lopez-Alt. 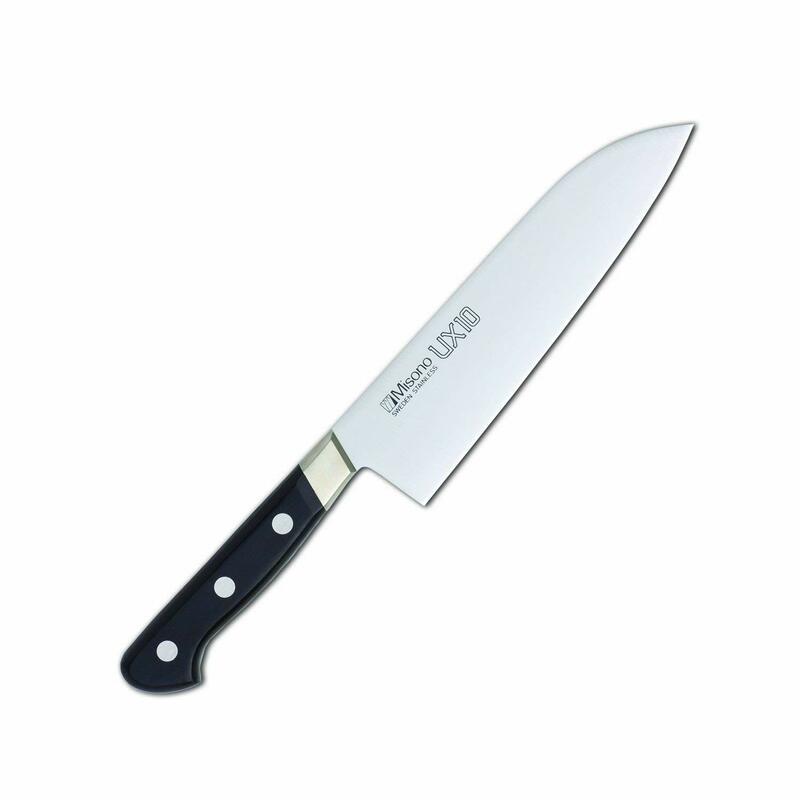 The reviewer who specifically mentioned getting this knife because of that book has stated that he hasn’t even touched any other knife, apart from his cleaver, since getting his Misono UX10 home. Other users noted that the Misono UX10 Santoku is well-balanced, and feels great in the hand. It makes precision cuts, and has an exceptionally sharp blade, right out of the box. Perfect knife. Immediately became the go to in the kitchen. Unfortunately, Misono only makes right-handed knives (unless it is 50/50 bevel), but they can be converted for left-handed. The first crucial thing in selecting your new kitchen knives is knowing what kinds of knives are available, and what each type is for. For our purposes, we’ll be looking at the types of Japanese knives on the market. Side note: When you see the word “bōchō” attached to a product, you know it is a Japanese knife. “Bōchō” means knife in Japanese. A true, Japanese style knife will be single beveled blade, meaning only one edge of the blade is sharpened. This serves a different purpose than the Western style of sharpening both edges of the knife. A single beveled knife will make slicing certain vegetables thinner, for example. As you look at different knives, you can learn the advantages and disadvantages of each style. To make your research easier, we’ve compiled a list of the all the primary Japanese cooking knives you’re likely to come across. In case the name wasn’t clear enough, these knives are designed specifically for cutting and slicing fish, sushi rolls, and other sushi and sashimi preparation related tasks. All-purpose, or general-purpose knives, like Chef’s knives, are among the most important knives in any collection. These knives give you the ability to do a variety of common cutting tasks, including cutting vegetables and fish. The chef’s knife and general-purpose knives are generally the first knives around which a kitchen knife collection is built. The slicing and chopping knives in your collection will be important for vegetable preparations for nearly every meal you make at home. These knives will make or break your ability to smoothly slice vegetables like cucumbers and zucchini, and fruits like tomatoes and apples. Cleavers could technically fall under the butcher’s knife category. These knives are used for a variety of food preparation tasks including hacking through bone or crushing garlic. These knives are used for dealing with various animals in food preparation. Whether you’re cutting tuna, slicing blowfish, or chopping up a block of beef, these knives are necessary for any non-vegetarian cook. These knives serve a number of specific functions. It may surprise some, but a sharper knife is much safer than a dull knife. When a knife is dull, people must use more force to make a cut or chop. This added force puts the user at risk of splitting a finger, or even chopping off part of a finger. A better-quality knife will not only come sharp out of the package, but will maintain its sharpness better than a cheaper version. You will also be able to sharpen a good quality knife easier and more efficiently than a poor-quality product. 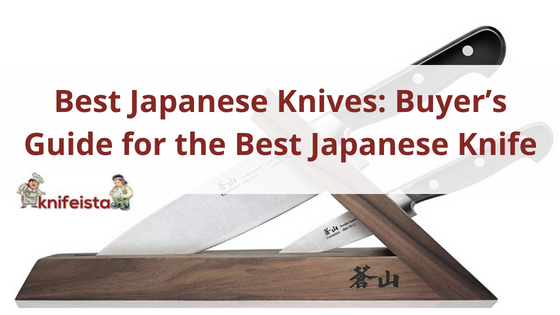 As you shop for your best Japanese knives, make sure you look at quality ratings. A quality knife can be the difference between a tasty dinner and a visit to the Emergency Room. Once you’ve studied the different types of the best Japanese knives, you’ll be able to understand what your precise needs are in a knife collection or set. If, for example, you make sushi or sashimi often, you’re going to need some quality sushi knives. If you tend to make a lot of homemade bread or buy bread from the bakery, a really excellent bread knife is a necessity. Ask yourself some questions before purchasing your knives. Do you cut a lot of vegetables? Will you need thinly sliced vegetables and fruits? are you making fillet fish or meat? Should need any butchering knives? Which size(s) of all-purpose knives do you need? Knife block is what you need? One of the keys to finding the right knives will be knowing your budget. You can get some decent quality knives at a lower price, but many of the best knives will run you into the hundreds or even thousands of dollars. Be sure to scope out prices on the knives you’d love to own first, then take a realistic look at your finances. What knives are in your realm of possibility, and which should you save for? Of course, you’ll need to understand Japanese knife brands as well, when you start your search into the best Japanese knives to own. If you want the right fit, you’ll need to compare brands that carry knives in your price range. If possible, find a store nearby that carries the brands of knives that you’d like to consider. You may choose to purchase them online at a better price afterward, but if you can handle the knives in person, you’ll have a much better understanding of the quality and feel of given knives. 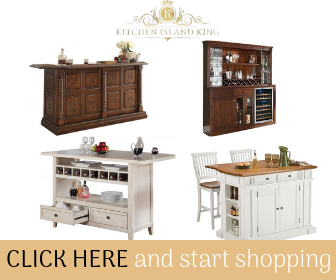 If you want the knives immediately, you should go into the store with online prices in hand. Many stores will do price matches on products you can show prices for elsewhere. As you prepare for your ultimate knife collection, be sure to read the user reviews, find professional reviews, and really learn which knives you’ll need. If you don’t make a lot of sushi, or never cut bread, you can skip those knives and still have a complete collection. Aim for what will best suit your needs. Stick to your budget, and be sure to look for sales from manufacturers or reputable retailers.